This rugelach recipe is a little gem. I have to admit I don’t know a lot about Jewish recipes, but this is a wonderful little dessert that has always been one of my favorite pastry recipes. I say pastry recipes, not cookie recipes, because this really is a combination of a cookie and a pastry. It is small and bite sized like a cookie, but the dough is soft like a pastry. Combine the flour, 1 tablespoon of sugar and the salt in a large bowl. Cut in the shortening with a pastry blender until the mixture resembles coarse meal. Stir in one egg yolk and the orange rind, mixing well. Sprinkle the orange juice, 1 tablespoon at a time, into the flour mixture, stirring until the dry ingredients are moistened. Divide the dough in half and shape into 2 balls. Chill for at least 30 minutes. 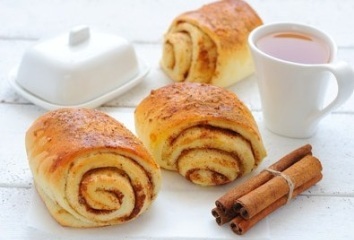 Combine the remaining sugar and cinnamon and set aside. Roll half the pastry into a 10"x12" rectangle. Brush with half the butter. Sprinkle half the sugar mixture evenly over the pastry. Sprinkle with half the raisins and pecans. Roll up jellyroll fashion, starting with the short side. Pinch the seam and ends together. Place, seam side down, on a lightly greased baking sheet. Repeat the procedure with the other half of the pastry. Cut each roll into 3/4 inch slices. 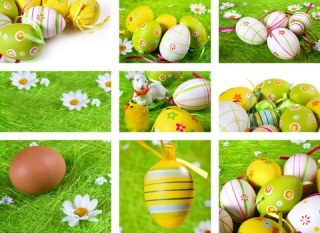 Combine 1 egg yolk and water. Brush the tops of the rolls with the egg mixture. Bake in a preheated 350°F oven for 30 minutes or until the little pastries are golden brown. You can replace the raisins and pecans with either apricot jam, strawberry jam or chocolate chips. Fabulous! The little deli I lived near years ago always had several flavors of rugelach in the display case. The image above shows rugalach made from dough that was cut into long rectangles and rolled. This image on the left shows you how you would make the more traditional triangular rulelach. Roll the dough into a large circle, layer the filling on the dough, cut it into triangles starting from the center, then roll up the pieces beginning at the wide end. Whatever you call them, these little bundles are fantastic. 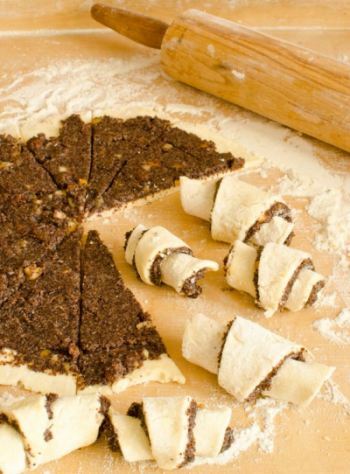 The version of the recipe I have here calls for filling the rugelach with raisins and pecans, which is absolutely heavenly, but you can also make a large number of variations to the recipe and create any flavor you want. You can leave out the raisins and use a combination of brown sugar and chopped walnuts. I love them filled with jam. Apricot jam, strawberry jam, raspberry jam, blueberry jam, orange marmalade – all would taste delicious in these little pastries. The pastry is quite tasty on its own too, flavored with just a bit of orange juice. If you divide the dough into two pieces as shown in the recipe, why not try mixing the fillings and use two different flavors, raisins and pecans in half and possibly some raspberry jam in the other? Try it different ways and let me know what your favorite is. Have a look at our other dessert recipes. They are just as tempting as this rugelach.